As you may have heard, parts of the Kingdom of Thailand have been suffering from flooding over the last few weeks. As monsoon rains continue, the situation has now become more critical. Bangkok is bracing for the worst flooding it’s seen in decades as waters from the flooded central plains continue to rush in. Rising water levels on the Chao Phraya River and city canals have left some riverside restaurants, shops and homes submerged, while public piers are covered in makeshift platforms and sandbags to keep ferry passengers dry. While the flooding is having some impact on golf in Thailand, most key golf destinations throughout Thailand have not been affected by the floods and almost all Thai golf courses remain open. The floods are mainly affecting the provinces in central Thailand and a few provinces in the north and northeast. 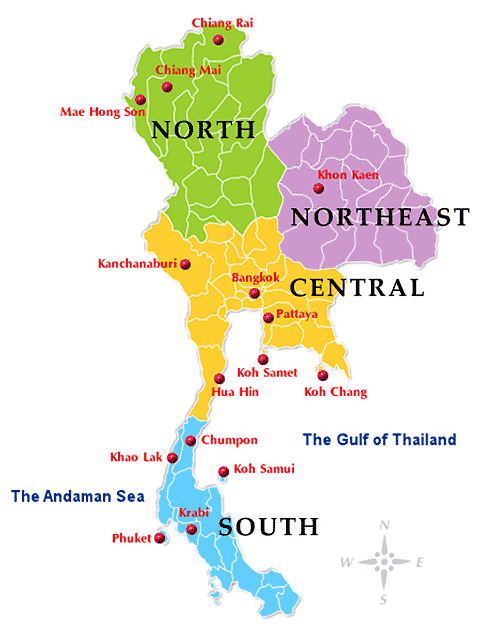 Provinces in the south of Thailand, such as Phuket and Samui have not been affected by the floods. In Bangkok, major city tourist areas such as Sukhumvit Road and Silom are unaffected by the floods. The airport has a variety of flood protection measures in place, so things are expected to be fine.However, Bangkok will be hit particularly hard between October 20 and 24, as a high spring tide will prevent the Chao Phraya River from draining into the sea, leaving Bangkok and its surrounds fighting to keep waters from flooding the city. Here is some more information from other parts of Thailand. The provinces on the Central Plains are severely affected. Road access from Bangkok to the north is also affected as part of the highway is flooded. This means that overland golf tours from Bangkok to northern Thailand cannot be operated as planned. Although Chiang Mai experienced flooding last week, currently the city is dry and all golf courses operate as normal. Golf in Chiang Rai is also normal. Air service to the north is on schedule. Hua Hin is probably the driest area of Thailand, with only late evening passing showers and no chance of floods. Road conditions are good and expected to stay this way. Hua Hin is a good alternative destination for those flying into Bangkok. Pattaya does not forecast any flooding, but the golf courses are very wet and probably best avoided for the next week or two. I will keep you posted on the latest Thailand golf reports as and when things change.